We have limited storage in our place and I needed to find a way to store our blankets. 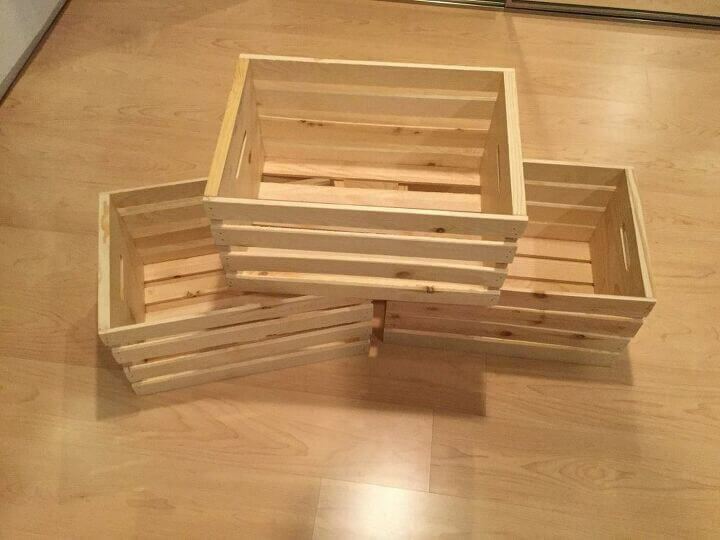 I found just how to do it using wooden crates! They sell these crates everywhere, and mine came from Walmart. 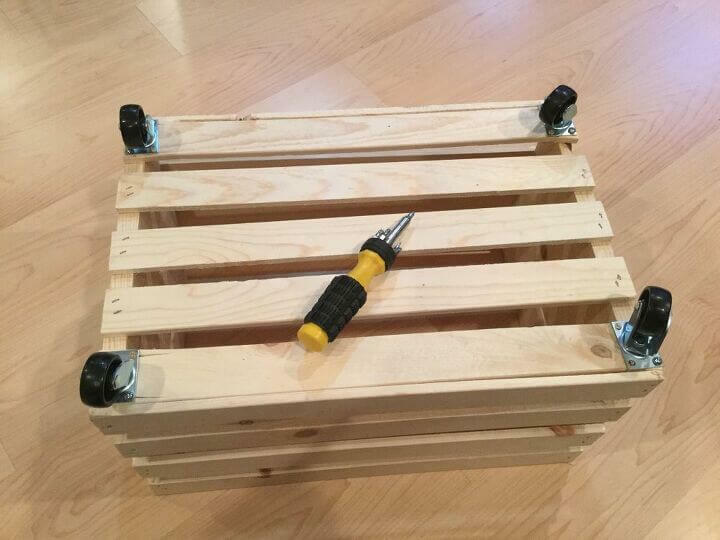 I decided to lightly sand the crate since we’d be storing blankets in them and our hands would be reaching in and out of them. 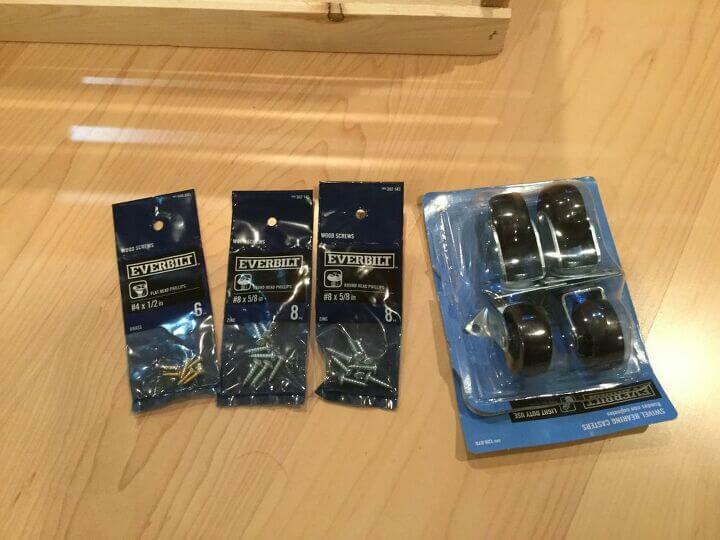 I went to Home Depot and grabbed some wheels and screws. The longer screws would be doing in 3 of the 4 holes and the smaller screw would go in the last hole. 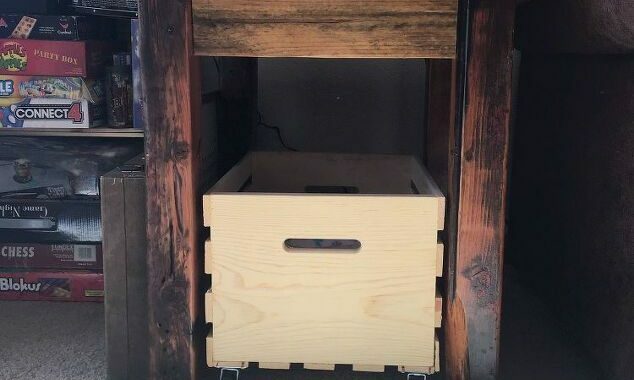 *High in site, I would have bought the wood crates with the extra wood in the 4 corners so that I could have used the same sized screw in all of the holes. I started by drilling a pilot hold in first where all of the screws would go. 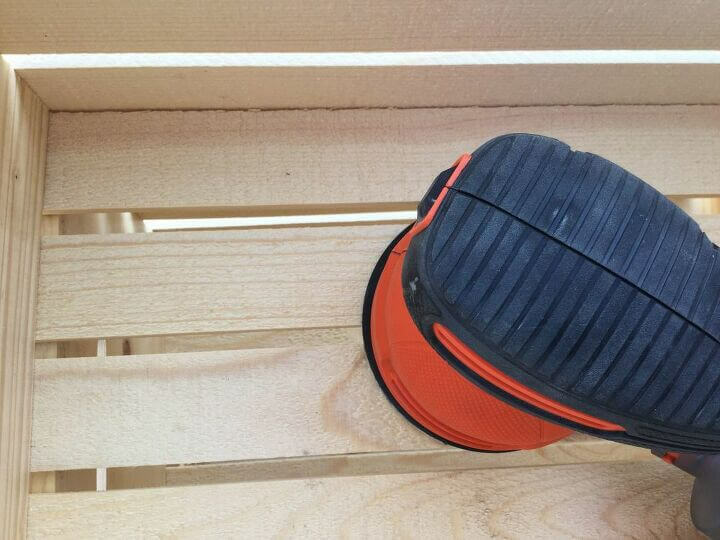 This would prevent the wood from splitting when I placed the screws in. I then screwed in the screws in all 4 holes of all the wheels. 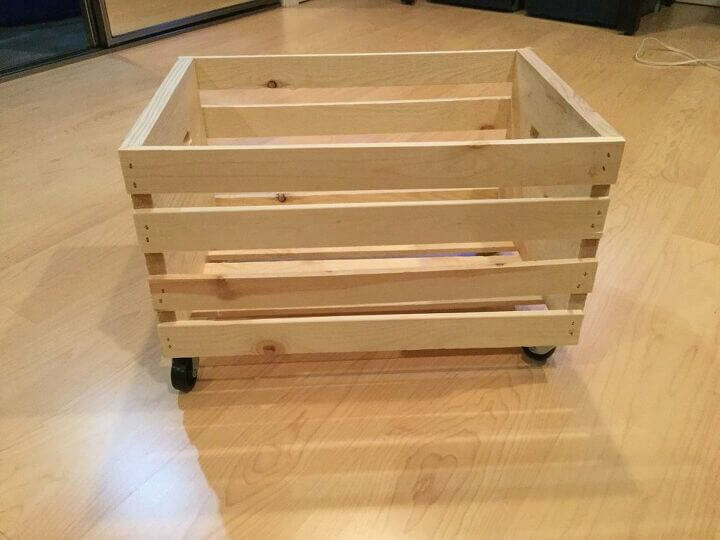 Here’s the completed rolling crate. 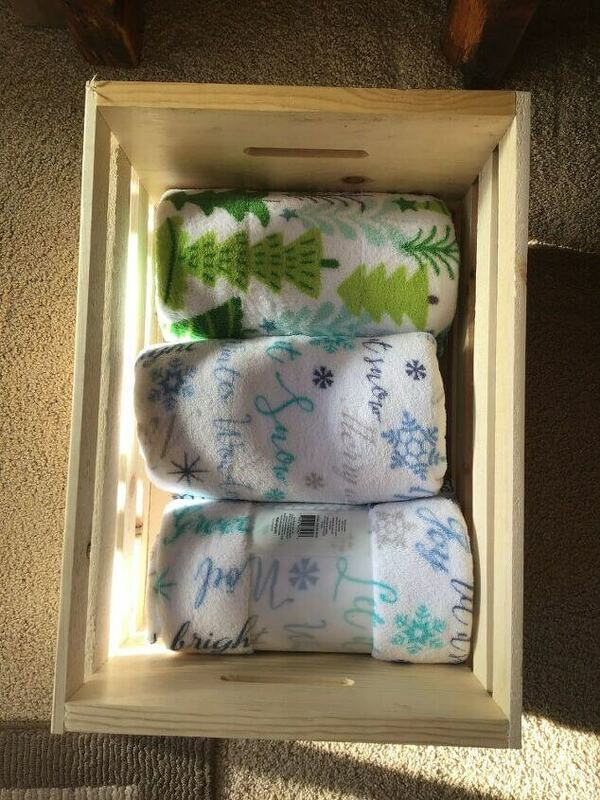 I placed my blankets in the crate and wheeled it under our side table. This is a great idea Chas. I know I love those smaller blankets and have many of them around my house. I’m lucky that I have my mother’s cedar chest to store blankets but this is a great idea for anyone who doesn’t have something like that. What a great idea! I am going to make myself one!! Thank you for the inspiration! 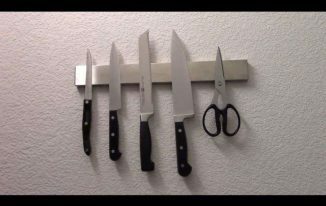 What a great way to save space and so easily! Thanks! This is a brilliant idea! I may have to put this idea to use soon, although I have a feeling my 18 month old would have a little too much fun with these… Thanks for sharing at Sweet Inspiration! What a great project! Schh a simple idea. I love it. Thank you for sharing on Merry Monday! We hope you will join us again next week! Thank you so much Kim. 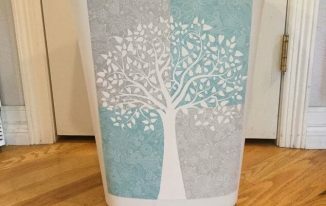 I love how easy it was to make and how it can be used for so many different things. Thanks for a great party and see you next week. You cannot have too much storage – fact! 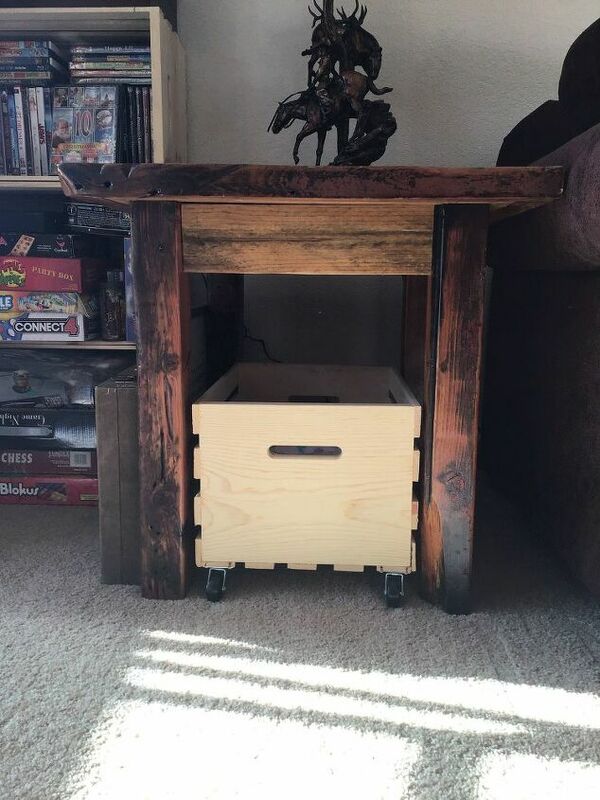 This crate is such a perfect fit under your side table, what a great find! Thank you Linda, and I totally understand. 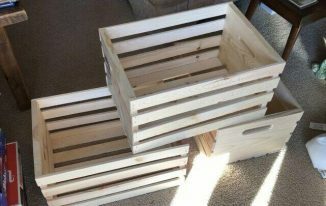 These crates are great because the are so versatile and can be used in so many ways.